Dawret il-Gżejjer Buġibba will be closed to vehicular traffic as from Thursday 28th May at 06:00hrs to Saturday 30th May 2015 at 20:00hrs, due to sand replenishment at the beaches of Dawret il-Gżejjer. Vehicular traffic coming from Buġibba centre towards Triq it-Turisti will be diverted onto Triq l-Imsell or onto Triq Dolmen. Vehicular traffic coming from Qawra will be diverted onto Triq Għawdex. 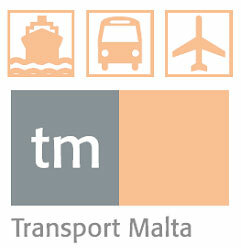 Public Transport: Bus Routes 12, 45, 31, 221, and X3 proceeding to Buġibba bus terminus will be diverted onto Triq id-Dolmen and onto Triq it-Turisti. Diversion does not apply to exit the bus terminus. Motorists are advised to proceed with caution. Any inconvenience is regretted.